Android N Released By Google:Wait is finally over as Google announces it’s new version of Android called as Android N while the update contains exciting new features, stability improvements and security important. Update doesn’t contain remarkable change in UI as Google also announce two new communication apps called as Allo and Duo. Whole keynote has a major emphasis on Android improvement which include some features and new Android studio version 2.2 which allow developer natively build apps for Android ecosystem. 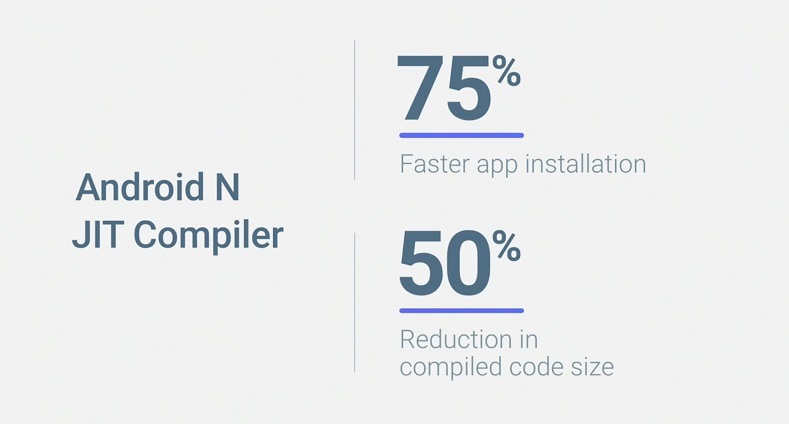 Google finally introduce JIT compiler in Android platform. JIT compiler is enabled by default, and is activated when a Java method is called. By the help of this compiler Android drastically increases performance into benchmarks and runtimes. With the help of JIT compiler it it increase app installation 75% and also reduces app code in compile size by 50%. From this Android runs more faster and effortless. Vulkan is the graphics rendering API which helps developer to build apps without doing OPENGL stuff which requires lots time while vulkan help developer to directly interact with GPU so developers put good stuff to graphics point of view. 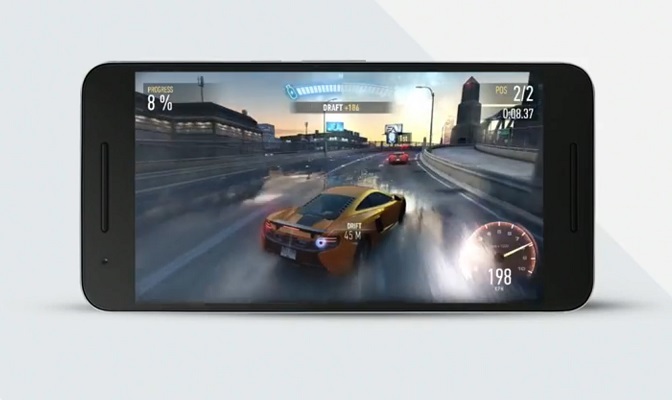 By help of vulkan developer easily put desktop and console type graphics into smartphone and result are really amazing as Google shows it to I/O demo of NFS No Limits with new graphics improvement. Many new feature include in game like blur effect, shadow, crash effect and much more which gives you depth of the game. There is lot more for developer which they can take help of this API by creating some awesome new graphics. 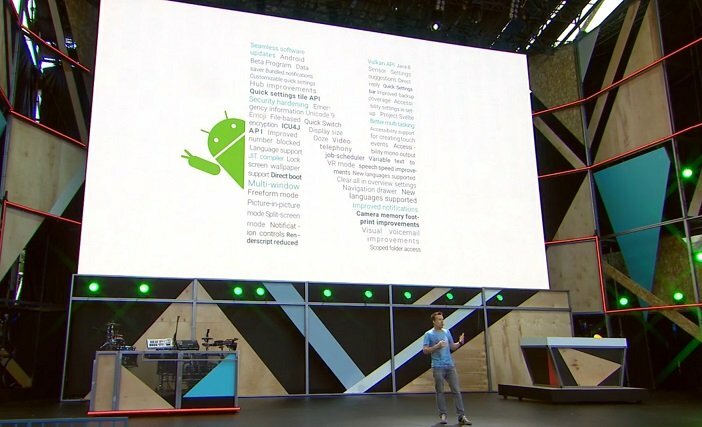 Hope for some more cool stuff to come as Android N to release at the fall. As Vulkan support only suggested Soc which means this feature can be use on only high-end devices as device is still not mentioned. Security has always been issue for Android device as earlier it receive many negative impact to user about security as Android started monthly updating security update which improves security issue which on Google I/O has worked in three major area are File-based encryption, Media framework hardening and seamless update. File-based encryption provide user more in-depth security of their device not only block but each file separately. Media framework hardening shows Google efforts toward developer that how Google how they check and balance Apps for safety for user. Seamless Update feature which help device to automatically install update and when use switch off there phones it seamlessly update without taking time. Android Multitasking is always good as Google made little improvement towards multitasking as they added requested feature for clear all apps which kills all apps form recent list. 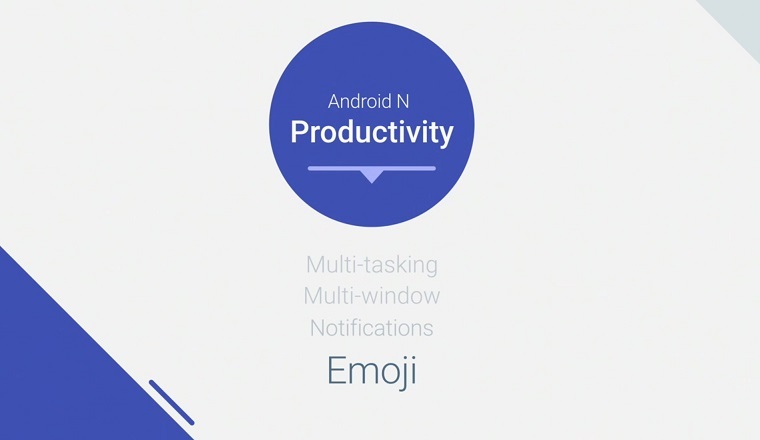 Android N also comes with more smarter multitasking which kills apps from recent list when not in use for many days which help phone to maintain it’s speed and also runs seamlessly. Android N also adds double tab to recent button to return to previous app which help user if they are in situation to swap two apps for same work, they also do while making calls and making notes or any other things. Android N comes with picture in picture feature which only support to Android TV as this feature allow user to mode their content and do other job. Multi-window feature finally make it’s moves towards Android ecosystem as this one of the most requested feature for Android user as multitasking help user to simultaneously use two app without changing two apps differently. This feature can be use when a person watching video and making notes of that video and many other purposes for writing from web or to take info to other apps there are many other ways which it can be use at but these are some example which user found it so useful. Notification drawer also get some refinement with new UI and also new feature like quick reply which help to reply for any message without going into apps for saving more time, make particular app silent by holding app for while opens option for silent app as per choice which give user only important notification as per there choice. 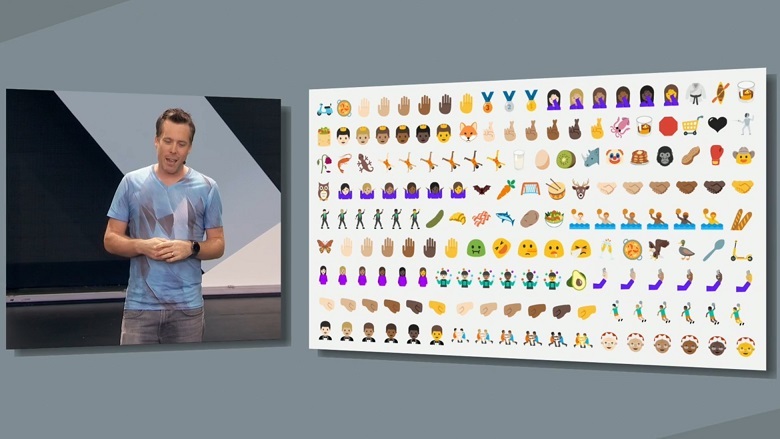 Android N comes with new Emoji with first to come with UNICODE 9 emoji which include skin tone,new reaction and much more to come. As emoji is best way communicate with reaction which create great impact and best way to represent reaction. There are more to come this fall so wait as Android N to release. Android New version also comes with new feature for user that if user wanted to use App for short time they don’t need to install full as they can simply stream app from Google and as they finish work they can leave the app without installing. Fastboot also makes it entry for Android N which means it help device to switch off apps with fastboot for certain apps. Google has revealed with more optimisation with background apps background processes can be memory- and battery-intensive. By this feature our android phone may last longer. Cellular data is limited and we sometime over exceed which cost more. So android identified the problem and releases new data saver by enabling this feature in order to use less data, whether roaming, near the end of the billing cycle, or on a small prepaid data pack. New night made also makes its entry as it basically lowers the blue color and make screen yellow color so person’s eye may not effect with blue spectrum of color as far study concerns. 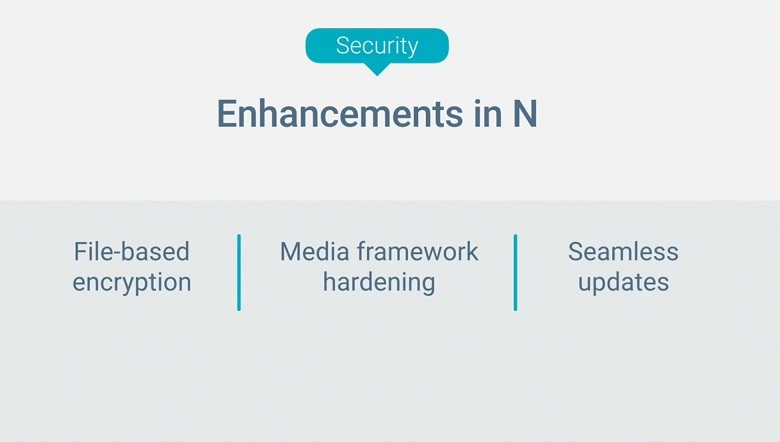 Google finally announced that their new Android N will have no more bloatware so manufactures will able redefine the whole UI as their preferences. This means that software likes Google Play Games, Google Play Books, Google+ and Google Newsstand now don’t need to be included on every phone you use. Android N for HTC userAndroid N soon to make it latest entry to HTC latest flagship as HTC 10, One M9 and A9 to get the latest firmware as Android release this fall. The new version of Android comes with great refinement, performance and more secure. As the new Android comes with overall 250 new feature these are only important of those. For release date as Google mention that they will release it on September event on which they release new Nexus devices. 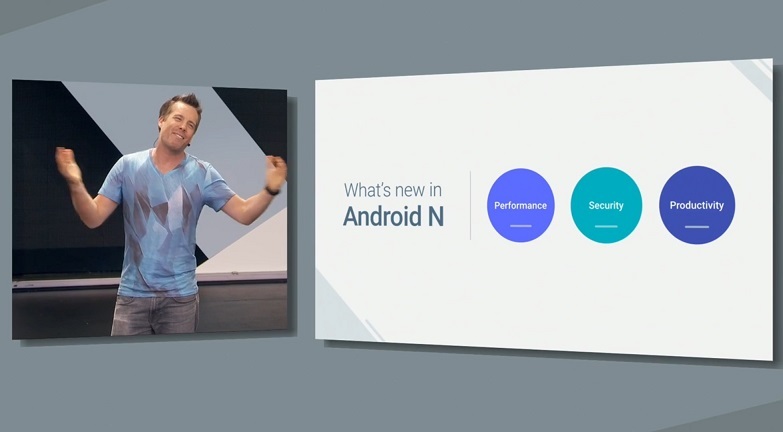 This year Android N still not get it’s name as it is very tough for Google to name it so they wanted to name Android new version with public as they open new portal so user can fill what they wanted to called new Android version. Last But not the least as Google brings a revolutionary change towards Android ecosystem that how we look toward apps and how’ll use it as it revolutionary thinking called as instant app which feature user to use any without installation as this is in development version but what it can bring to user is phenomenal. We’ll give each and every details what new in Google’s new Android version so stay tuned.